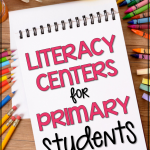 This is my final post in the series on literacy centers and today I’m excited to share with you some of my favorite center activities! My students and I both agree that literacy centers are the best part of our day and I believe it is because I carefully choose consistent, differentiated, rigorous activities that keep them engaged meaningful work. Note: This post contains affiliate links. This means that, at no cost to you, I earn a few nickels should you choose to make a purchase through the links. 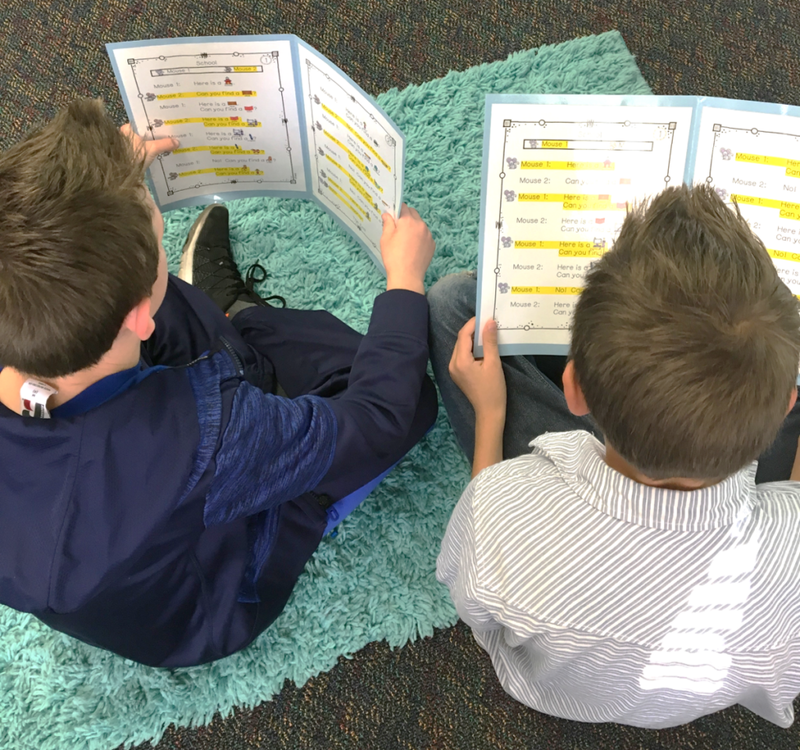 How to Launch Centers in the Primary Classroom In this post, I shared ideas on how to group students, choose literacy centers, and organize classroom space and student materials for effective learning. 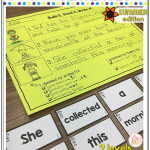 In my second post, How to Introduce Literacy Centers and Build Independence I explained how to introduce new centers and shared strategies I use to keep my students on task and accountable for doing their best work while I am teaching small groups. If you’re all caught up, then let’s get started! I’ve got lots to share today! EACH DAY in my classroom I have a full hour dedicated to small group literacy learning. My students are immersed in collaborative groups and engaged in rigorous learning tasks while I lead guided reading groups. When students set foot in my classroom their independent abilities range greatly. I am sure your class composite is just the same! Our classrooms are filled with all types of children, including English language learners, gifted students and those with special needs. So how do we reach them all? Teaching to the middle would be such a disservice to students. Some children would become bored while others would feel defeated and likely waste precious time or begin to act out. In order to be most effective I have to offer rich activities that support and meet the needs of all my learners. My answer is always, “Keep it simple”. For me, “simple” means the center activities are consistent, rigorous and easy to prep. The chosen activities naturally offer extensions and support for ALL levels of learners in my classroom. 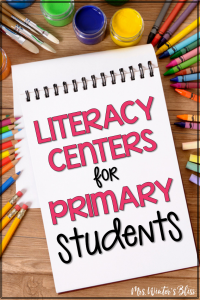 Read on to learn about my 12 favorite “simple” literacy center activities that are perfect for primary classrooms. 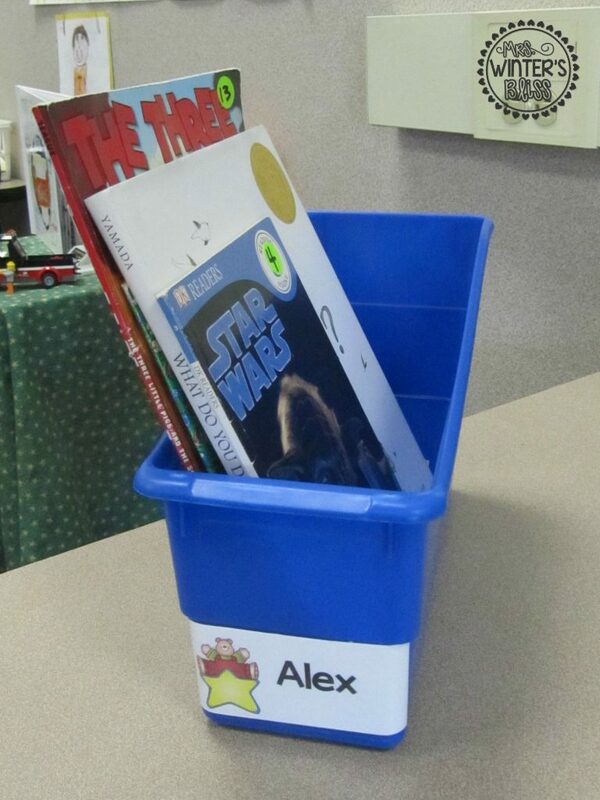 Students in my classroom have a personal book box where they store a mix of their instructional (guided reading), self-selected “just right” leveled texts, and a few “free choice” books from our classroom library. During their daily 15-17 minute independent reading session, I teach my students to read several of their “just right” (on level and guided reading) books first. 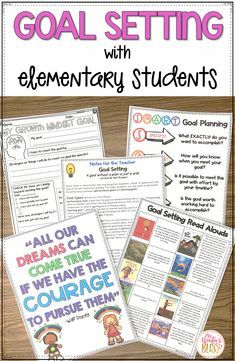 This is their main course and will help them grow into big, strong readers. If they have extra time, they many have “dessert” and choose to read one of their “free choice” books. At this center students are offered several choices of prompts to get them writing. Having choice increases engagement and motivation, even for my most reluctant writers. Students feel excited to have the opportunity to write on topics that really matter to them. Writing Picture Prompts – these prompts are easy to prep: I just select a few, print and place them at our writing station. 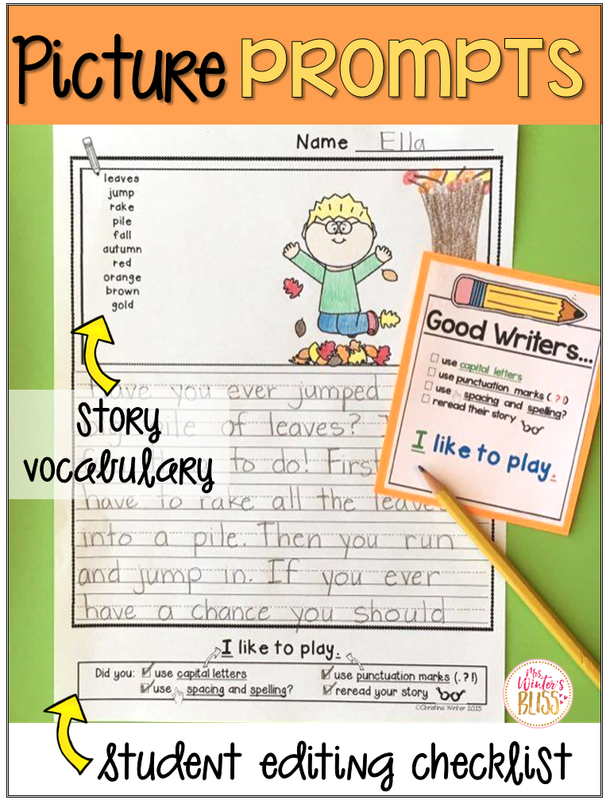 Having the vocabulary word bank on each page serves as a great scaffold of support for generating story ideas and spelling words. 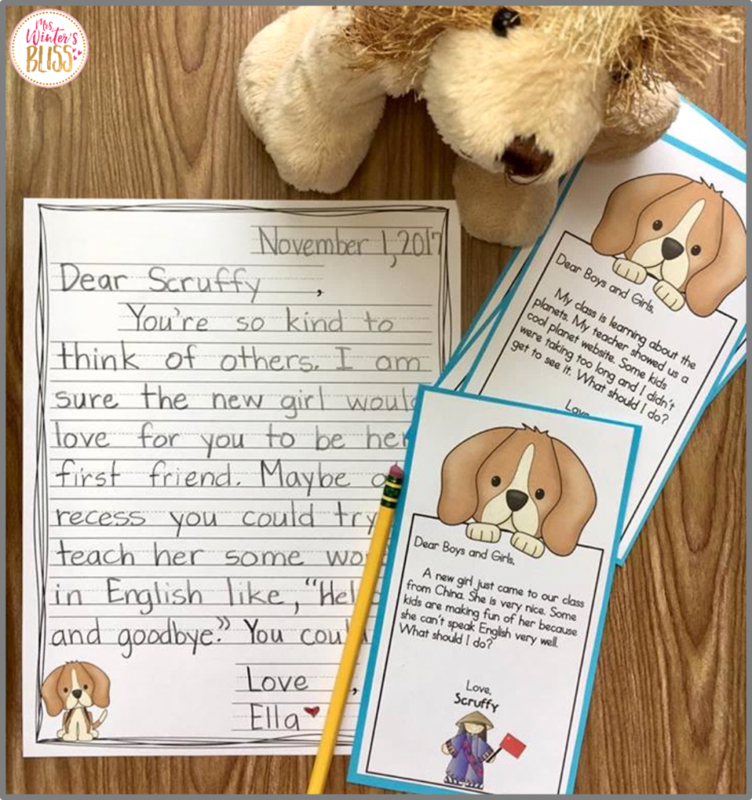 Students are free to create stories without having to feel stressed or limited because they do not know how to spell words. The self-editing checklist at the bottom of the page is also a great reminder for them to go back over their work to ensure it’s their best. 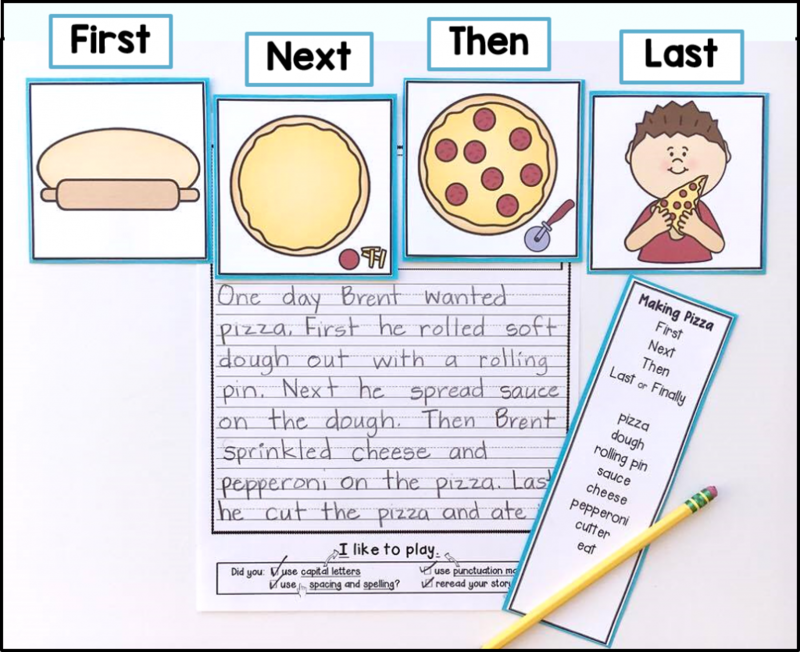 Sequence Writing Prompts – During this hands on writing activity, writers choose a prompt, use the 4 sequence picture cards to order events, then use the transition words and specific story vocabulary words to tell their story. We use the seasonal prompts and the animal/plant life cycle prompts throughout the year. 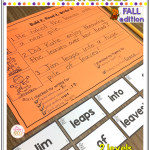 Grab this FREE sequence story to try in your class! Our word study center is an essential practice time for students to deepen their knowledge of spelling patterns that I have taught in whole group lessons. My friends enjoy hands-on word work activities like Wiki Sticks, letter tiles/magnets, and salt trays. 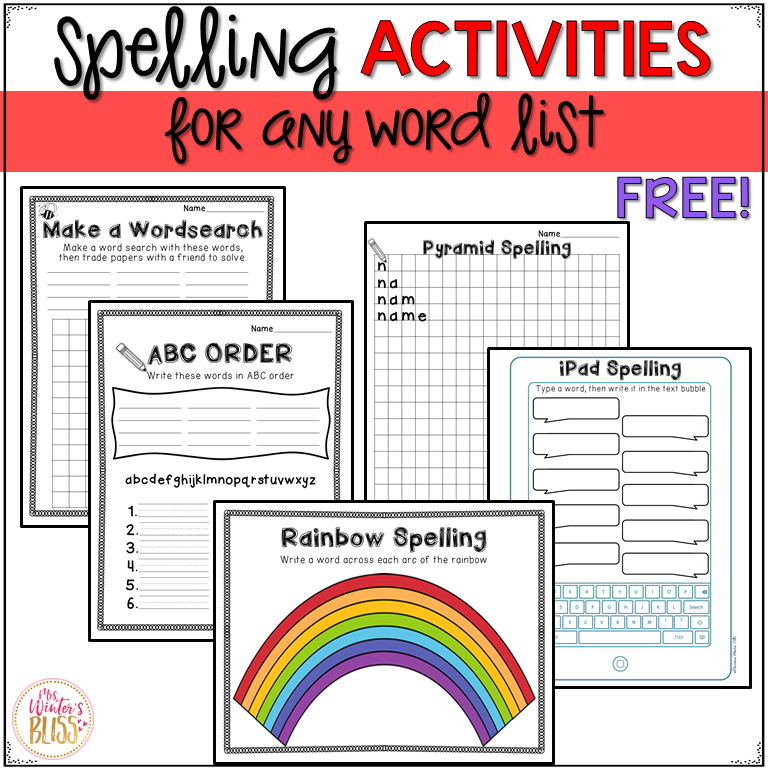 I also created these 5 FREE SPELLING ACTIVITIES as a way to continuously offer new choices. 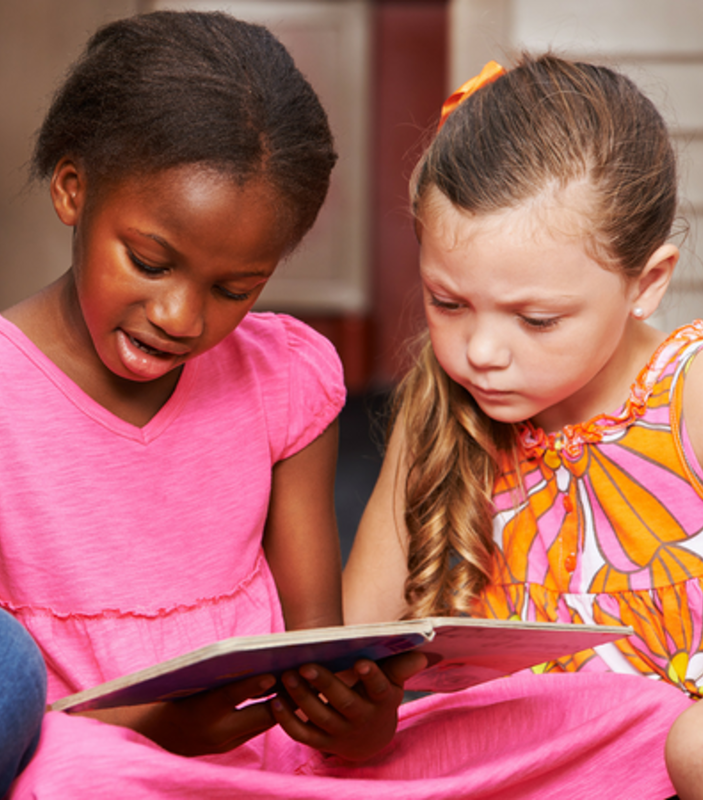 Listening to reading allows my students exposure to more complex themes, higher level story vocabulary, and the chance to hear models of fluent reading. I have an old school cassette player with headphones listening station like this one. Throughout the years, I have used Scholastic Book Club points to order a collection of individual books and tapes. 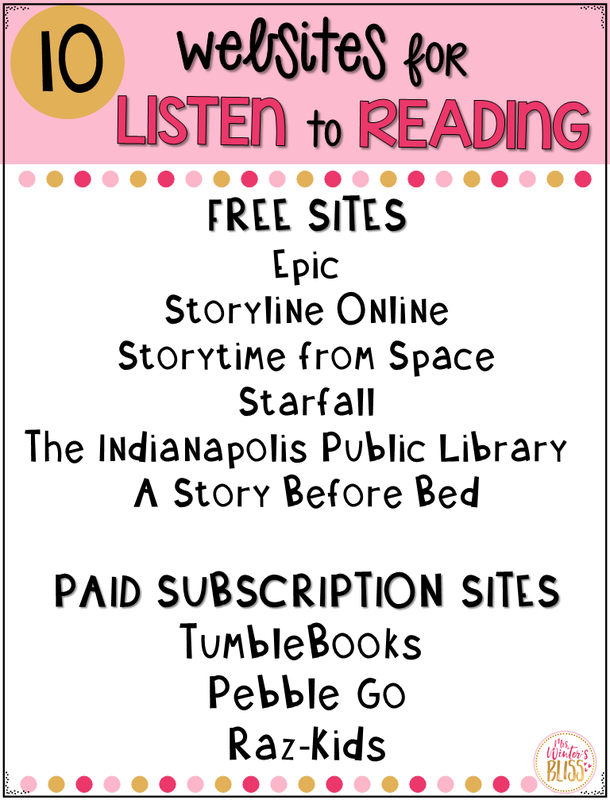 On the computer, students can listen to reading on free websites such as Epic, Storyline Online,Storytime from Space, Starfall, The Indianapolis Public Library, A Story Before Bed, as well as paid subscription sites such as TumbleBooks, Pebble Go, and Raz-Kids. Here students partner up, sit side-by-side, read and discuss the books from their book boxes. Reading to a partner is a student favorite because they are able to choose texts and share their thinking and learning with a buddy. It’s a meaningful center that requires little or no prep from me! Another great form of Reading to Someone is Partner Plays. These plays written by Kristin (A Teeny Teacher) provide meaningful, purposeful, and engaging fluency practice. Kids love them because the story topics are so relevant to them. My students literally cheer (and beg to read them at recess) when I bring a new set out for partners to use. 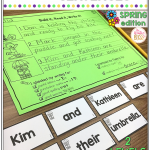 This center is easy to differentiate because the plays are leveled to best match students reading level. The plays do take a little prep work up front (perfect for a parent volunteer) but I have used them year after year! You can take a closer look at all of the partner plays here. 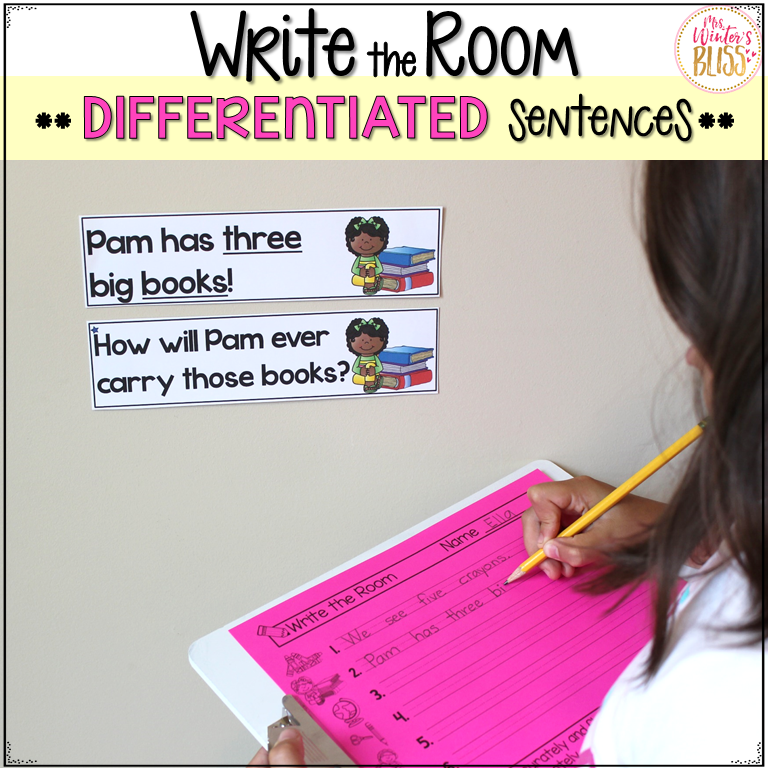 Another engaging literacy activity is Write the Room Differentiated Sentences. My friends love to grab a clipboard and move around the room looking for sets of sentences that match the picture on their recording sheet. Students are accountable for picking the “good fit” sentence they are able read independently. Again, since this is a consistent station in our classroom, I don’t have to spend instructional minutes each week “teaching” the procedures and expectations for this task. At our poetry center students can choose to work alone or with a partner to build familiar nursery rhymes. Once they have built the poem, they work on fluency by reading the poem a few times before choosing a new one. They love the choice, collaboration, and hands-on learning. 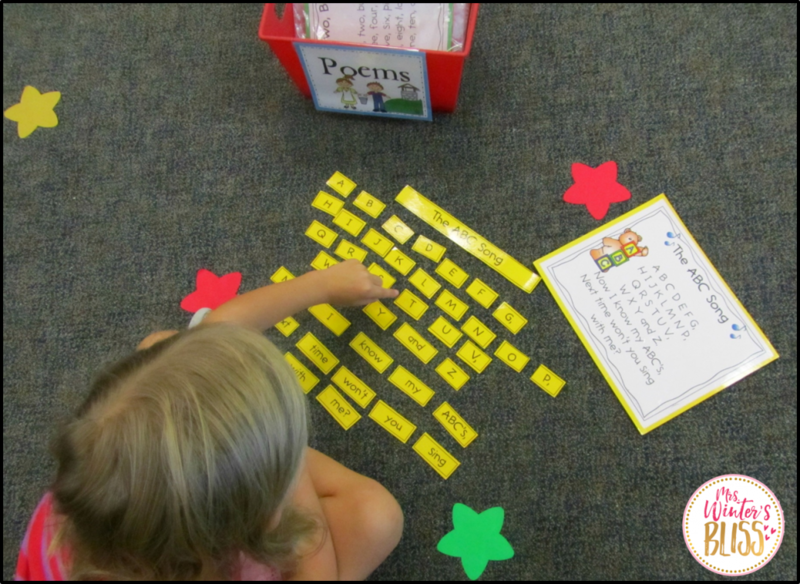 Students are always successful because it is a puzzle-like task with only the words needed for the poem. Grab a free poem in the resource preview file to give it a try in your classroom! Another well loved hands-on literacy task is our sentence builders. Again the sentences are differentiated so students are working at their just right level. 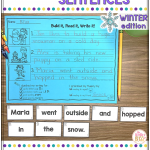 These sentences are perfect for early writers to practice writing complete sentences, including proper capitalization and punctuation. This task also enables students to practice fluency skills by re-reading the sentences they have built and recorded. My students enjoy engaging in this activity both alone and with a partner. 21st century learners can’t wait to get their hands on a device, am I right? 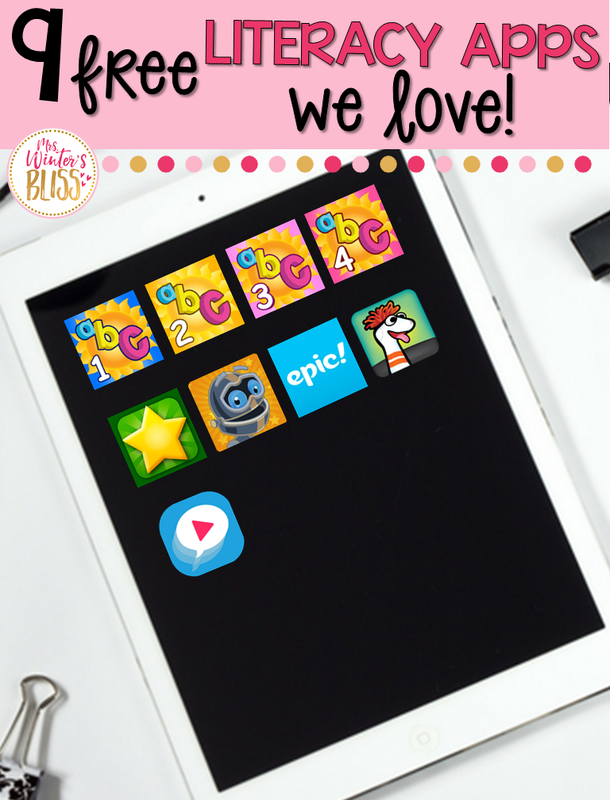 Here is a list of our favorite free apps that practice literacy skills. They are very engaging to students and user-friendly. Created by Preschool University ABC Spelling Magic, Spelling Magic 2, Spelling Magic 3, Spelling Magic 4 (these apps are perfect for a word work station. Every level has a spelling pattern focus including CVC words, consonant blends,multiple syllable words, and silent E words). Texting Story pairs of students can “text” messages to each other within the app. Epic unlimited free access to 25,000 high-quality ebooks, audiobooks, learning videos, and quizzes for kids 12 and under. Sock Puppets Students can record creative stories using puppets, props, scenery, and backgrounds. Starfall So many of the literacy activities from the desktop website can also also be accessed on the app. If you have limited technology and don’t have enough devices, you may want to look at this post to see how I got 4 iPads and cases funded through DonorsChoose in only 5 days! Sight word knowledge is essential for emergent readers. They need to know these tricky words so they don’t get frustrated working to decode them and then lose comprehension of what they were reading. 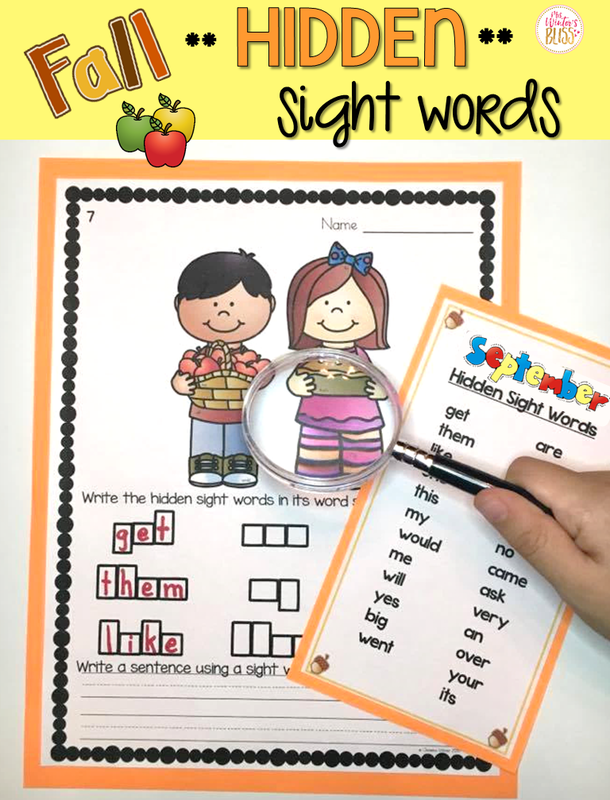 Essential learning of sight words can be boring and that’s why I created Hidden Sight Words. My students are always eager to be word detectives and look for hidden sight words. This center is easy to prep, consistent, and offers students choice. Our classroom library is filled with various texts, big books, and magazines. We also keep our student published books in the library center, it is always a treat for them to read books written by their peers. My friends have the choice to read alone or with a partner in the classroom library. 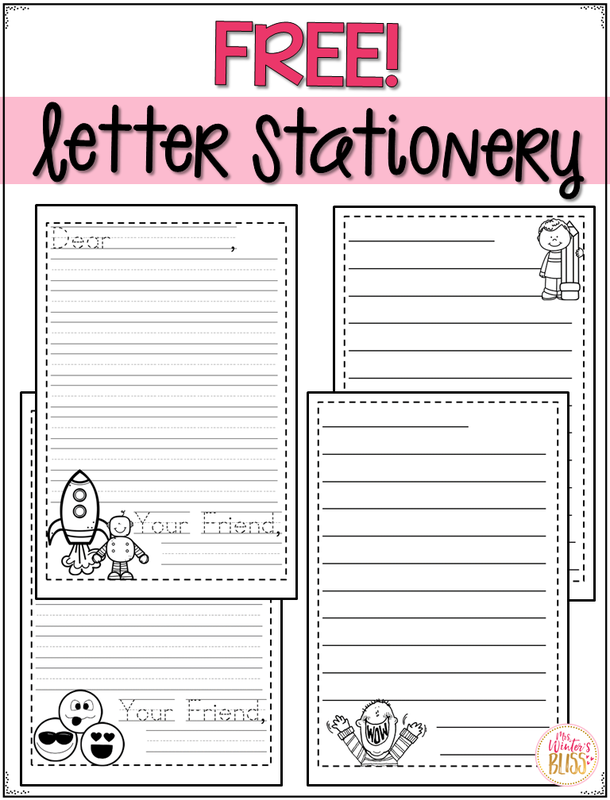 After teaching students the parts of a friendly letter, they write simple messages to one another using these choices of FREE Letter Stationery. 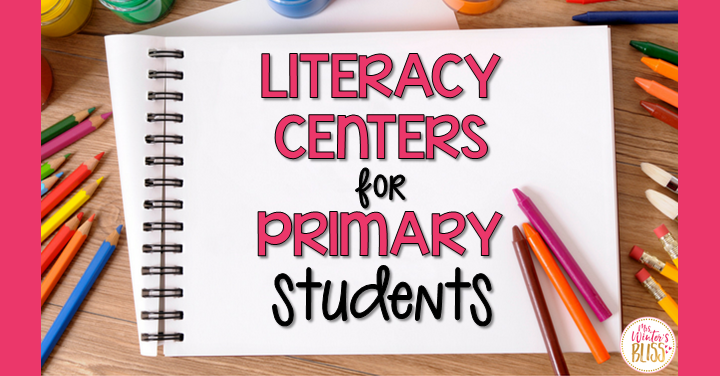 Thanks for following along throughout this blog series on literacy centers. I hope that information I’ve shared has left you feeling confident and excited about implementing centers in your classroom this year! 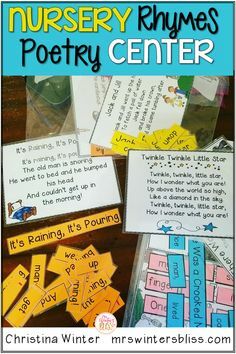 If you are excited to get started and looking for a bundle of resources to get going, I bundled up most of these favorite center activities mentioned in this post. 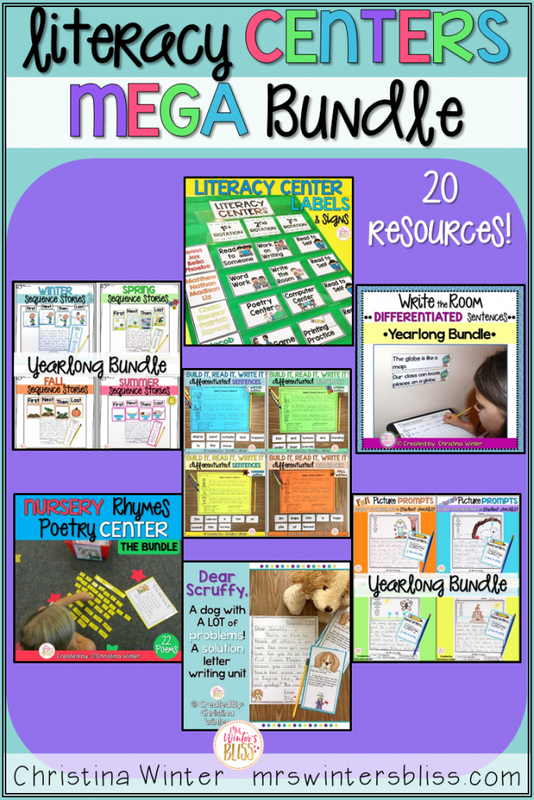 The Literacy Centers Mega Bundle has 20 easy to prep, long lasting, engaging resources offered at a deep 20% bundle discount! Just click the image to take a closer look! Hi Christina, your blog is so helpful! I’m wondering……you said you take 4-6 weeks to introduce each station before releasing the students to them. However, every time you change the station-such as, change the Word Work station to something different like the ABC spelling worksheet, for example- do you do mini-lesson on that specific paper/station that you’ve changed it to? I hope that question makes sense….thank you! This has been so helpful, thank you! What do the kids do with any work they complete at the station? Is there a hand in bin, or do they take it with them to the next station, or to their desk during cleanup…?